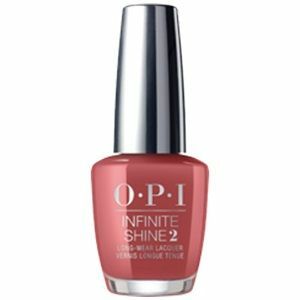 OPI Infinite Shine Long Wear Lacquer, My Solar Clock is Ticking, ISLP38, .50 fl. oz. Earthy warm red creme nail color with brick undertones.